It was reported in our local business tabloid that sales began at Jade Residences condo in Lorong Liew Lian last Friday, with close to 60 units moved by 6pm. 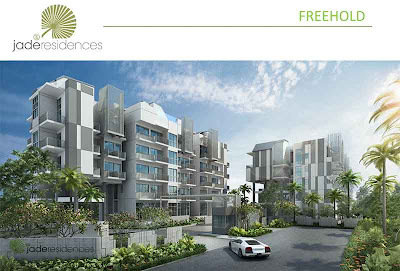 Located about 400 metres from Serangoon MRT Station, the five-storey freehold development will have 171 apartments and two shop units. As of Friday, developer Roxy-Pacific Holdings had released 80 apartments and the average price after discounts (inclusive of a 3% early bird discounts) works out to $1,416psf. 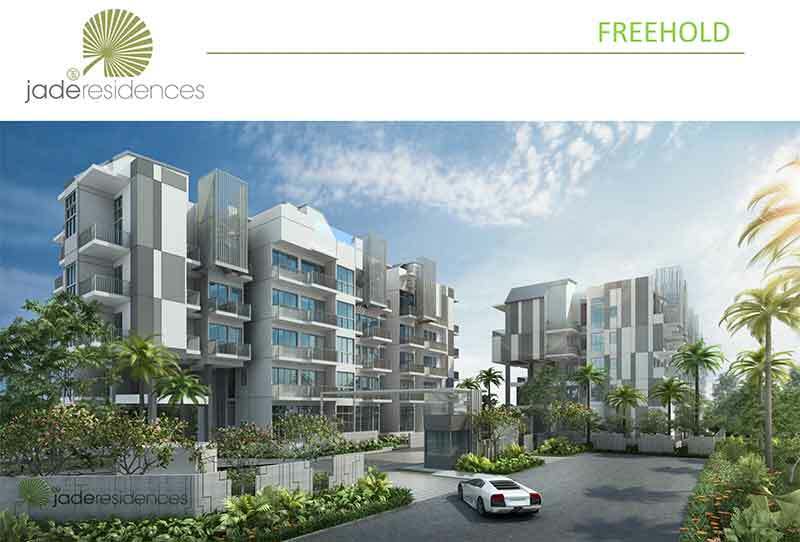 Jade Residences comprises two, three- and four-bedroom units as well as penthouses. All ground-floor units have high ceilings (up to 4.8 metres) and come with a jacuzzi and a furniture deck, which provides a raised platform that can accommodate a mattress or be used as a study. Absolute prices of units in the development range from around $845,000 for a 527sqft two-bedroom apartment to $2.65 million for a 1,927sqft duplex four-bedroom penthouse which comes with a roof terrace, attic and private pool. Prices for the two shop units of 215sqft each has yet to be finalised but they will cost below $1 million each. So far, the project has reportedly attracted mostly local buyers, predominantly first-timers and second-timers. The thing that struck the wife and I the most is the duplex four-bedroom penthouse - 2-storey with four bedrooms, a roof terrace and private pool - all housed in a mere 1,927 square footage of space. Back in the good old days (being the old-timer that we are), this will probably be at least 3,000sqft! So it's amazing how much "stuff" developer can squeeze into an apartment unit these days... and how small a living space in each of the areas within a home that buyers are prepared to accept. 2 comments to ''New project sales status: Jade Residences"
- The ground unit and penthouses’ ceiling of 4.5 meters is really “OMG” factor… really WOW ! Love it. The wife and I do not know very much about Jade Residences (yet) but there are definitely more than TWO freehold resdiential properties around the area - you forgot to mention Rosalia Park and the new project Evania - both are across from Jade Residences.